It is easy to think of cosmetic dentistry as being a purely technical subject, and while it does rely on using advanced technologies, the very best cosmetic dentistry is a complex blend of science and artistic talent. There are some great cosmetic dentists out there, but not all will have the vision needed to create beautiful smiles. 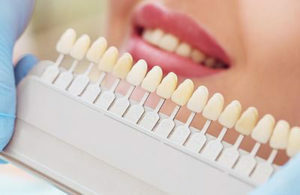 Limited artistic ability may not be a problem if you only require small modifications to your teeth, for example, perhaps a porcelain crown or veneer. It is more important to choose the best cosmetic dentist with a true artistic ability if you are considering cosmetic dental procedures such as a complete smile makeover. Like most people, you may want to visit the best rated dentist in Brooklyn because you want to improve your appearance with a brighter or straighter smile. That’s what the best cosmetic dentists do, after all. Investing in a smile makeover is easy and effective when you have the best cosmetic dentist in Brooklyn at your disposal. 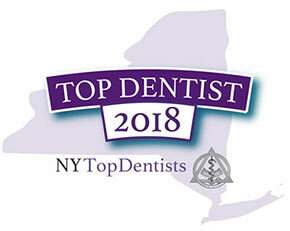 As cosmetic dental specialists, the Family Cosmetic & Implant Dentistry of Brooklyn team was voted one of America’s best dentists in 2018. The father/son team places the highest priority on your comfort, and that attention to detail shows. Whether you’re concerned about cosmetic dentistry cost or the pain of a particular dental procedure, the best Brooklyn dentists don’t do anything until you understand and agree with the treatment plan. This father-son family dentist in Brooklyn serves everyone from toddlers with their first tooth eruption to teens and seniors. As a top New York dentist in 2018, your Brooklyn general dentist graduated from NYU and is certified by the World Clinical Laser Institute. Our dentist is a member of the American Academy of Cosmetic Dentistry and the American Dental Association. The best cosmetic dentists focus on aesthetic training in addition to general dentistry. Many cosmetic procedures are elective, which means you only get them to improve your appearance. 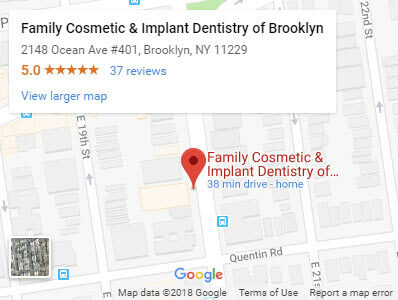 But the best Brooklyn dentist understands the value of appearance in how you follow through with your overall dental health too, which is why they’ve received numerous accolades for Excellence in Customer Service. The best dentist in Brooklyn always focuses first on your oral health. Your teeth and gums must be in the best condition possible before you take on new cosmetic dentistry costs. You’ll reach the dazzling smile you deserve when your mouth is healthy and pain-free. Sometimes, cosmetic dentistry procedures must be taken even after your routine oral care is completed. You can count on your Brooklyn cosmetic dentist to provide you with safe, effective restorative treatments and dental procedures that may involve dental implants, gum disease treatment, teeth extractions, bone grafts and gum graft. Your cosmetic dentist doesn’t charge any more for your standard general dentistry procedures like fillings and x-rays than a traditional family dentist. And the best dentist in Brooklyn is always aware of your budget restraints and your personal goals, so make sure you relate all that relevant information during your consultations. You must be aware, however, that it’s difficult if not impossible to put a price on a winning smile, especially if you’re in the performance community in New York City or in another profession that requires public interaction. Children and their evolving self-esteem often rely on appearance as well. And while your dental insurance may cover routine and medical necessary dental services, cosmetic elective procedures usually require a much higher out-of-pocket investment. Do you have any questions about the Cosmetic Dentistry in Brooklyn NYC? Would you like to schedule an appointment with the top cosmetic dentist Khabensky DDS of Family Cosmetic & Implants Dentistry of Brooklyn? 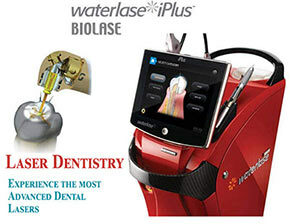 Please contact our advanced dental clinic for a consultation with the dentists Alex and Igor Khabensky DDS.